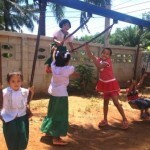 The first week of school at the Burmese Learning Center was full of smiling and laughing children! It was wonderful to see returning students and also new faces that are ready to begin their education journey. With a new opportunity to build a better future, the students were eager to begin learning their Thai, Burmese and English curriculum. After the first week, there are officially 74 students registered and an average attendance rate of 65. A lot of the new students are in Kindergarten and their parents are excited to have them begin their education from a young age so that the principality of education is instilled in them. We are excited for the teaching staff as well. 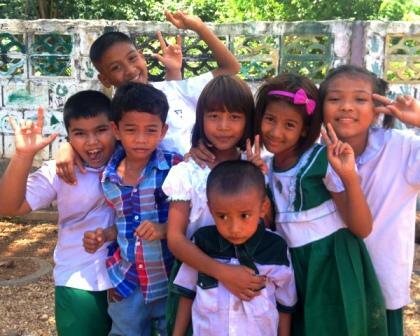 The male Burmese teacher has returned for the second year and his capacity to facilitate and reach out to the local Burmese community has grown immensely. The parents and students have formed relationships with him and trust. 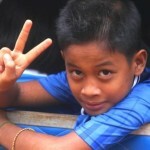 The newly hired Burmese female teacher is enthusiastic and eager to teach and get to know the parents of the children. Leading the school is teacher Tar, who has been with the Burmese Learning Center for three years. She is committed about the education of the Burmese population and is amazing at coordinating through the challenges of running a cross cultural center. 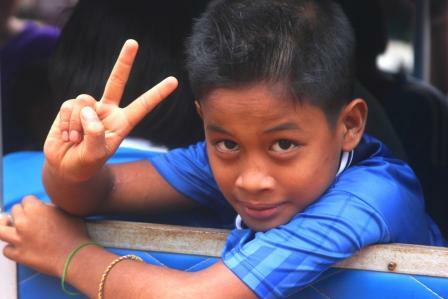 The school now has a new school bus and driver to safely transport the children to and from their homes. It has also been emphasized that the teachers go with the school bus to pick the children up and drop them off at home so that the parents can talk with the teachers and ask questions, this helps to build trust between the Burmese Learning Center and the parents. The New School Year also began with a Canadian volunteer teaching English. The center will have enthusiastic volunteer for the next three months. If you are interested in giving back to the center and volunteering, check out our volunteer programs. To offer these students a new outlook and opportunity in life, we need your financial support to keep the Burmese Center Open. If you would like to donate or are interested in long term support, please click here.